There is a pleasing amount of recent music written for the solo horn – and Alec-Frank Gemmill begins this concert with an extract from a much larger work by Sir James MacMillan. Since it was the day of Preparation… is a large, 70-minute piece using texts from St John’s Gospel – but within it are sections for solo instruments from the ensemble, using the sort of structure a composer like Benjamin Britten would have employed. A substantial one of these, for solo horn, is heard here. John Casken wrote Serpents of Wisdom for this concert and these players, and was inspired by the imagery of a serpent primarily through the poem Celtic Cross by Norman MacCaig. As he wrote he was taken through the idea of a musical representation of the coils of brass that make up the horn. Through the piece he uses some unusual effects such as natural harmonics, which make the horn sound out of tune but are intended. Beethoven wrote one of the very first sonatas for horn and piano, a three-movement construction that he started – and finished – the day before giving it in concert with the horn player known as Giovanni Punto. Meanwhile Schumann’s only work for horn and piano, the Adagio and Allegro, was written for a member of the Dresden Court Orchestra. It has been a little unfairly taken on by viola and cello players, and is more commonly heard in that version. Reverting to horn and piano enables us to hear why the theme for the Allegro works so well in its original form. 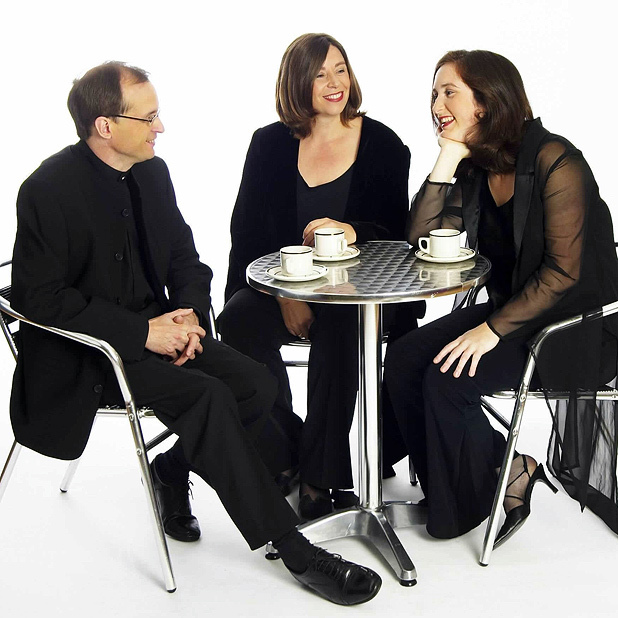 A pleasant change for a Monday lunchtime from the Wigmore Hall – the first horn recital they have programmed at such a time for years. It was made all the better by the choice of a world premiere, and by the artistry of Alec Frank-Gemmill and Alasdair Beatson, an exciting duo fully justifying their billing as young musicians well worth experiencing live. Frank-Gemmill is a really excellent player, and took on the Casken with impressive belief and skill. While clearly not an easy piece to play it made a powerful impression – equally so in the piano part, where Beatson had to work hard with some tricky passage work. Although inspired by the coils of brass, Casken’s piece often felt to me as though it was craggy in outline, and while its impression was largely gruff and unforgiving, there were some surprisingly tender asides. The MacMillan was a striking piece, clearly in homage to Britten – and reminiscent of some of his writing for Dennis Brain – but also showing how it is possible to write quietly for the horn without losing any expression. Frank-Gemmill managed the low notes brilliantly here. The Beethoven and Schumann were much more conventional but equally enjoyable. Beethoven writes for the horn without any inhibitions and there was plenty of gusto in the outer movements of this performance. The Schumann is a glorious piece, a true musical evocation of happiness, though this account did not completely lift itself off the printed page. No matter, for the new pieces had already left a lasting imprint – and an encore, Glazunov’s Rêverie, made for a lovely finish. 1:41 – MacMillan’s piece has a soft and reverential opening which gives the piece a tonality and also a very low main note, which makes a lovely sound on the horn. The melody has the appearance of plainchant, and gradually it grows in breadth and confidence. Then around 7:20 the music takes a confrontational approach, whooping excitedly and going all the way up to a remarkably high note at 8:04 – before its relatively calm finish. 11:58 – a brief yet quite understated fanfare from the horn begins the work – and it receives ample support from the more graceful piano theme behind it. A thoughtful second theme is heard at 12:55 before the first section of the first movement is repeated at 14’29. After a short development we hear the main tune once again at 18:15, and the second theme – now in the same key as the main one – at 18:59. 29:39 – a brisk start, energetic too. The first of the ‘natural’ notes is heard at 30:13 – you can hear it is out of tune but it is meant to be. The slower music at 30:44 is brooding and paints a relatively austere picture. As the music gets quieter the horn turns to the mute. There is then an extended piece of writing with impressive energy and stature from the horn, which is required to perform a number of very difficult tasks, usually in cahoots with the piano, which itself has a jagged outline to its music. A slower section runs around 38:30, but then the piece gathers itself for a big finish at 40:15. 42:42 – a slow and romantic Adagio, led by the horn, which is largely graceful but has some tricky high notes. This leads into the exuberant Allegro at 46:59. This has a tricky theme with a wide range. It is always a bold move for a contemporary composer to write a new symphony, because that form seems to indicate a really major piece. However in the case of Sir James MacMillan that’s exactly what the Symphony no.4 is, a massive single movement for orchestra that the composer has dedicated to Donald Runnicles as a 60th birthday present. The conductor describes it as having an ‘ancient and modern’ feel. The ancient is MacMillan’s quotes from much older music, and in particular the Mass Dum sacrum mysterium of the Scottish composer Robert Carver (c1485-1570) – an homage to an important figure in his musical development. There are “echoes of plainsong and chorales floating in the background”. 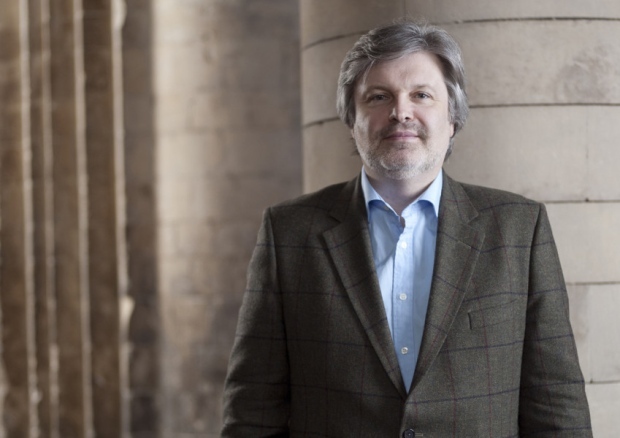 MacMillan also speaks warmly of his relationship with the BBC Scottish Symphony Orchestra, who gave the first performance of his breakthrough piece The Confession of Isobel Gowdie at the Proms in 1990 under their then chief conductor Jerzy Maksymiuk. He talked of how he has got to know the people as characters rather than the instruments they play. MacMillan is an avid Glasgow Celtic fan. With such a big piece it is difficult to appraise a symphony on first go. But the effect of hearing the Carver early on is striking, as it wends its way slowly through the busier orchestral accompaniment, as though the orchestra is processing into the room. The undulating string passage at 8:12 on the link above bears Sibelius’ influence and is purely outdoor music, but gradually the strings cluster together in pitch. Then the attention turns to brighter treble sounds, with clarinets and brass occupying some higher pitches and sharp timbres. Then the drums come in with a big thwack (from 16:10) and the music moves into a much faster section. The reverential sections come back and contrast with the greater movement, and there is a passage at around 29:00 where the orchestra really comes together in a moment of glassy clarity, expressing a keenly felt and slightly sweetened emotion. Then around the 30:50 mark the piece would seem to have found a defining tonality of D minor, part of a slower coda that really hits the heights of emotion with the strings from 35:00. 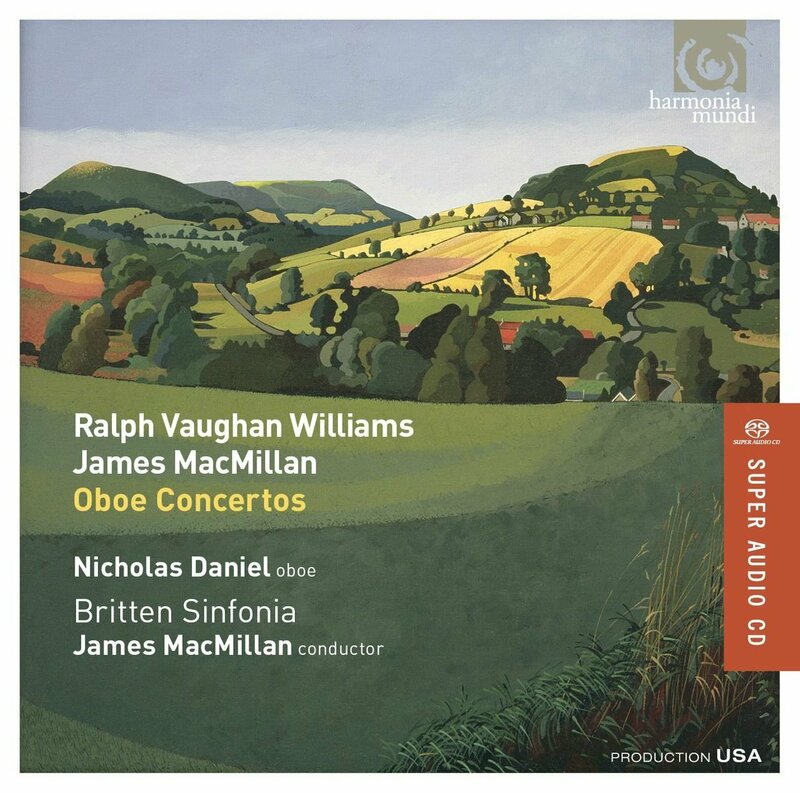 From 37:45 there is a very ominous driving force at work, the bass drum powering the music as though driving home a great stake until the music cuts to the glistening rattle of a triangle, showing at first hand one of MacMillan’s great strengths, his mastery of orchestral colour. Then the piece builds with a massive gathering of orchestral power, cutting again to liquid percussion sounds and bells, an extraordinary effect, before a last chord dies away. The Fourth Symphony does come across as a very spiritual work, and it carries a weighty emotional impact. One I look forward to hearing again!